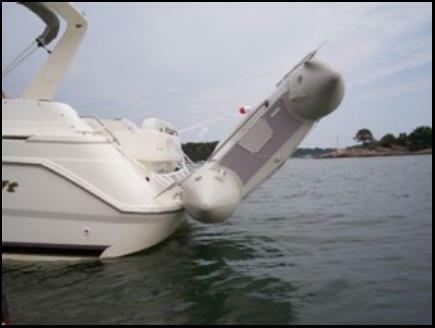 The Dinghy Sling Davit system used for taking your inflatable boat / kayak / or row boat with you while cruising. The most affordable and versitile davit system on the market. 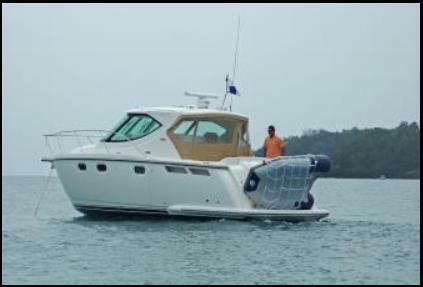 Sling system will work well on Searay, Back Cove, Wellcraft, Crusier, Formula, Chapparel, Trawler, Yahcht, Catamaran, Sailboats and many other types of power boats. Will not work on boats powered by outboard! NOW in 3 COLORS and 33% Stronger! > Strong, Portable, Lightweight, UV resistant with all marine grade materials. > Easy lifting and lowering with quick deployment for emergency situations. > Can be stored straight up or at any angle you choose so as not to block view. 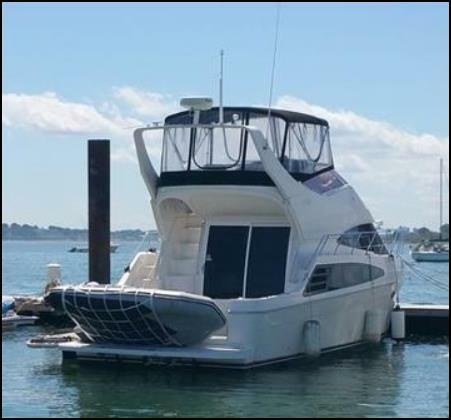 > Can prevent man overboard situations where the dinghy could catch you. 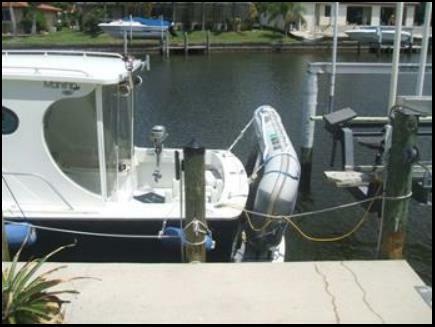 > Works on Sailboats / Power boats with or without a swim platform and even sides of docks to keep walkway clear. 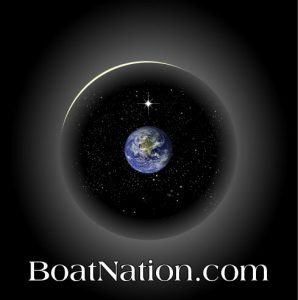 > No Drilling, Bolting, Gluing or modifications to your boats. No more cracks in fiberglass! > Helps reduce chance of theft of dinghy or kayak while up in sling. Cost $275 US with Free Shipping worldwide!